If I only had one day in Tokyo, I would eat delicious food the entire time. Skip the touristy towers and "must see" spots. You don't need them. 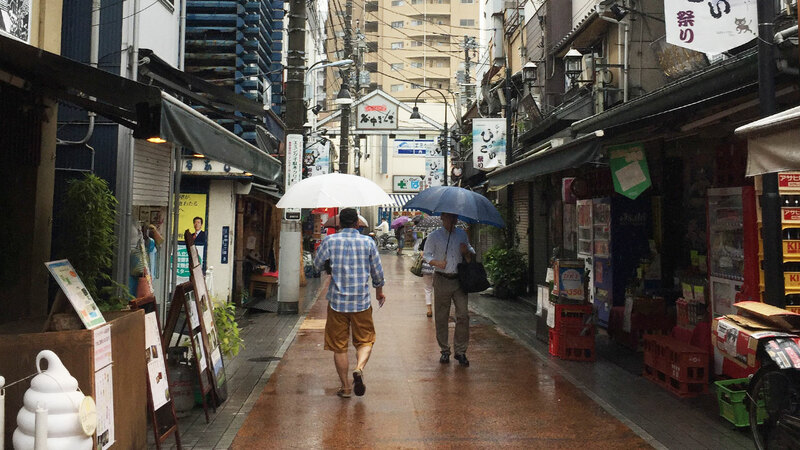 Follow me on a walking tour through Tokyo that uncovers some of the city's best-kept culinary secrets. This is my ideal, one day Tokyo itinerary. Starting Point: I plan to start my day in the Yanaka neighborhood of Tokyo. It has a homey, nostalgic, shitamachi 下町（したまち） feel to it. Plus, I lived in this neighborhood for about three years, so I know it well enough to say with authority that it's a great place to start the day! 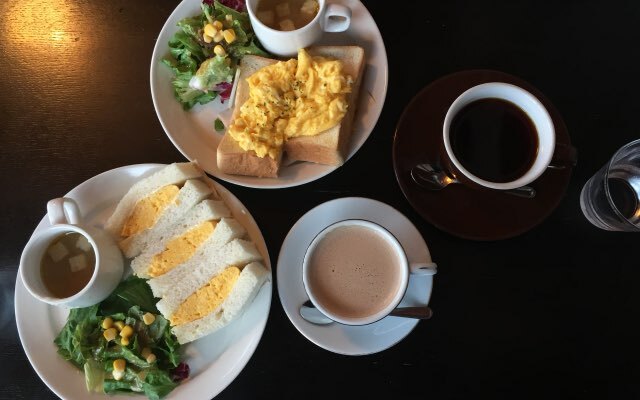 For breakfast in Tokyo I would have a relaxing morning at a kominka café with a unique egg sandwich. This is a special type of cafe called 古民家（こみんか）カフェ, which means "a coffee shop built out of an old, renovated house." 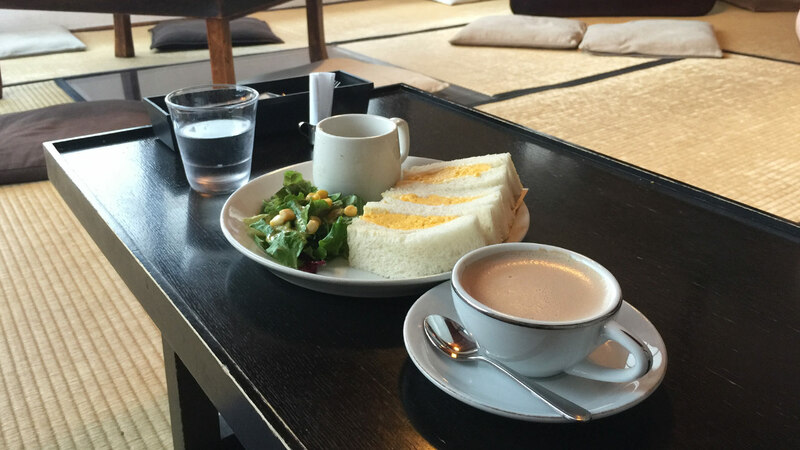 These types of cafés have become trendy in Japan recently. At this historic café, I usually get their unique たまごサンド (egg sandwich). This café is called Kayaba Coffee (カヤバ 珈琲（コーヒー）). The building itself is over 100 years old, though it's been renovated and updated over the years. The building became a coffee shop in 1938, but was forced to close in 2006 because there was no successor to take over as owner. However, it was reopened thanks to a local project three years later, in 2009. The first floor has a retro kissaten atmosphere and the second floor has a tatami floor that makes me feel like I'm chilling at my grandma's house. At this historic café, I usually get their unique たまごサンド (egg sandwich). The filling of the sandwich is not the typical crushed, boiled, or scrambled eggs you're probably picturing in your head. No, this juicy tamagoyaki (Japanese rolled omelet) is sandwiched between slices of toasted bread. This type of sandwich is rare, even in Japan, but it's so delicious! And the toast is actually baked in a nearby bakery – it's incredibly fluffy. For my perfect morning drink, I get a cup of Russian coffee, pronounced ルシアン. They've been serving this same coffee since they opened back in the 1930s. It's half coffee and half cocoa, and the sweetness of the cocoa and bitterness of the coffee complement each other perfectly. You can't have breakfast without dessert. At least, not when it's your only day in Tokyo. So my next stop is to Yanaka Ginza, a small shoutengai 商店街（しょうてんがい）, or shopping district/street. To get there, I go for a walk and enjoy the neighborhood. 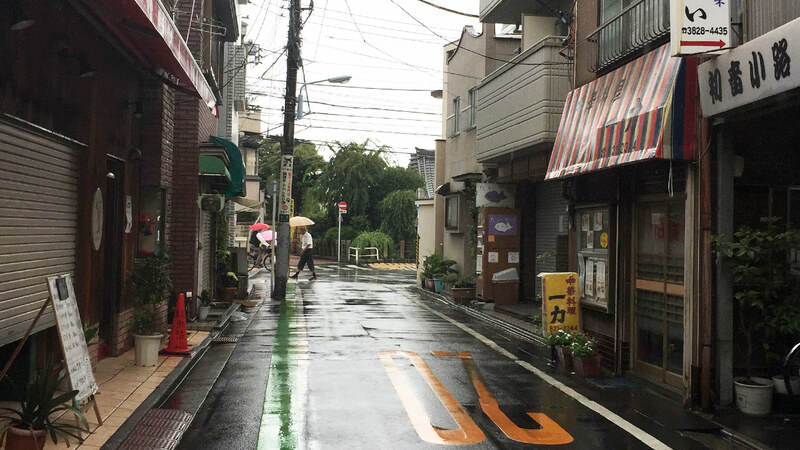 There are a few different paths to Yanaka Ginza from Kayaba Coffee, but I like to take a slightly roundabout way past a cemetery called Yanaka Reien. There are famous people, like the last shōgun, Tokugawa Yoshinobu, buried here, so it's worth the detour. Halfway there, I take a left at the little police station called Tennōji Substation, continue straight, and take a right at the end of the street at Chōanji Temple. This route takes me past many old houses, temples, shops, and of course, cats who like to hang around being cute. If you're in this area you'll definitely see some cats, probably lounging on top of houses and in alleys. At the cross-street in the picture above, I take a left, and I'm in Yanaka Ginza! This route only takes about 15 minutes, so if I'm in the mood for a longer walk, and want to stop to take pictures or buy things from the shops, I have plenty of time. 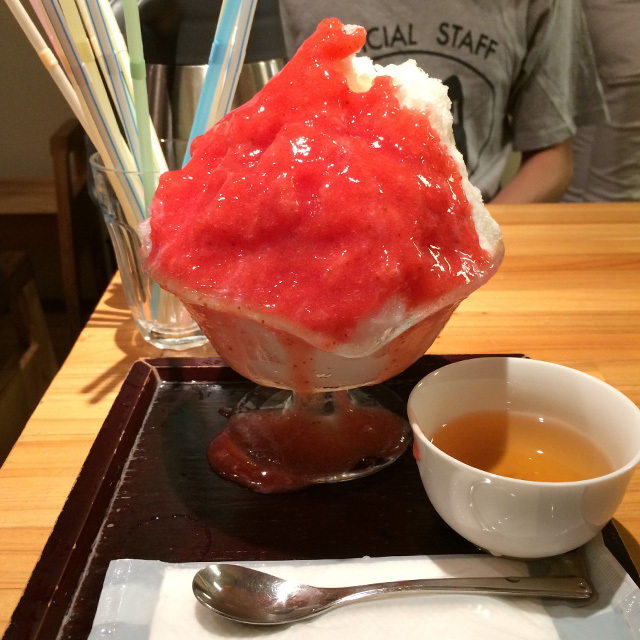 Next on my Tokyo one day itinerary is post-breakfast dessert: kakigōri かき氷（　ごおり）, or shaved ice, at Himitsudō ひみつ堂（　どう）. They use naturally frozen ice from Nikkō and hand shave the ice themselves with classic ice-shaving machines. What's fascinating about this place is their handmade syrup. It's completely different from the brightly-colored, pre-made shaved ice syrup you buy in bottles. They use real fruits and vegetables, most of them seasonal! The ice-shaving machines look old, and if you sit at the counter you get to watch them shave the ice right in front of you. The owner is a former kabuki actor, which is obvious by how handsome his face is even without any of the traditional kabuki makeup. You can get fantastic shaved ice here, but I have to warn you — they are popular, especially in summer. It's fairly common to see a long line even before they open in the morning. I always try to get here as early as possible, so the time I wait is under a half hour or so. I know winter doesn't seem like the best season to get shaved ice, but I hate waiting in long lines. Going here in the winter ensures the shortest possible wait time. Plus, I like their winter menu better than their summer menu. They have things like sweet potato, pumpkin, and strawberry milk… ahh, it's so good! They update their menu, hours, and how busy they are on their Twitter (@himitsuno132), so I always make sure to check it before I head over. If you plan on visiting, please check before you go. Before I leave Yanaka Ginza, I make sure to enjoy more than the food. There's a cheap (like super cheap), old deli, and an Iranian restaurant called Zakuro, that has a crazy owner (he's like the Iranian version of Mark Kagaya and he'll bring you insane amounts of food and entertainment). Take note though: not all stores in Yanaka Ginza will be open before 10:00am on weekdays. Now it's time to get sushi. To Ginza! Sushi can be very fancy, especially in Ginza, the mecca of fine Japanese cuisine. Prices stretch up to ¥30,000 (that's $300 USD) or more for a single person! This is why I get sushi at lunch, instead of dinner. From Yanaka to my restaurant of choice, I take the train. I hop on either JR Yamanote or Keihin-Tōhoku from Nippori Station and get off at Yūrakuchō Station, then it's an easy walk the rest of the way. 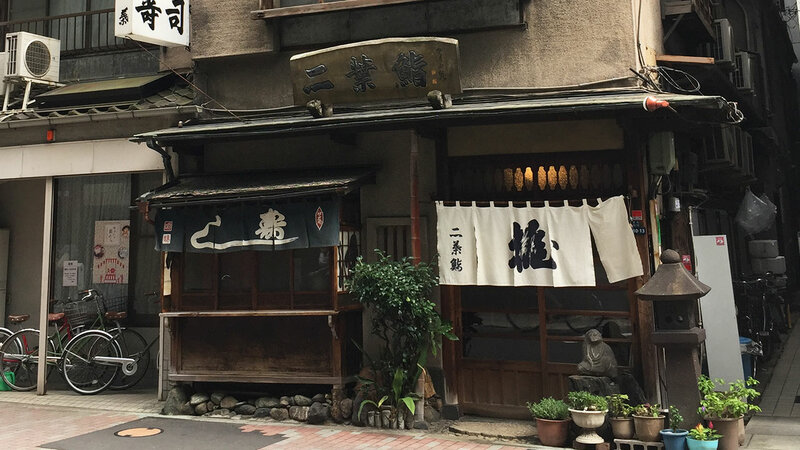 My destination is Futabazushi 二葉鮨（ふたばずし）, one of the oldest Edomaezushi restaurants in all of Tokyo (it still uses its traditional Edo period recipes). They opened in 1877, well over a hundred years ago. Their wooden shop was built by miyadaiku 宮大工（みやだいく）, carpenters who specialized in building shrines and temples, and, since the end of WWII, it has been nestled between the tall, modern buildings that overtook the area. Sushi can be very fancy, especially in Ginza, the mecca of fine Japanese cuisine. Prices stretch up to ¥30,000 (that's $300 USD) or more for a single person! When I open the door I'm greeted with 「いらっしゃいまし 」 instead of the usual 「いらっさいませ」used to greet customers in Japanese. I never hear people use し at the end instead of せ, other than in historical dramas and, well, right here. The first time I heard it here, I felt like I was stepping back in time to the Edo period! There are two choices for lunch: nigiri or chirashi. Each costs ¥3,020, which is really cheap for what it is — sushi made by a sushi chef who earned respect in Ginza. I prefer the seasoning for the sushi rice here because it doesn't contain sugar. Of course their sushi is delicious, but I also like their gari (pickled ginger) because they also don't use sugar in it, for whatever reason. Are you ready to see pictures of the traditional sushi they serve? Well, you can't. Sadly, you're not allowed to take pictures inside the restaurant. You have to visit and see it with your own eyes and taste it with your own mouth. You'll see, it's unbelievably delicious! 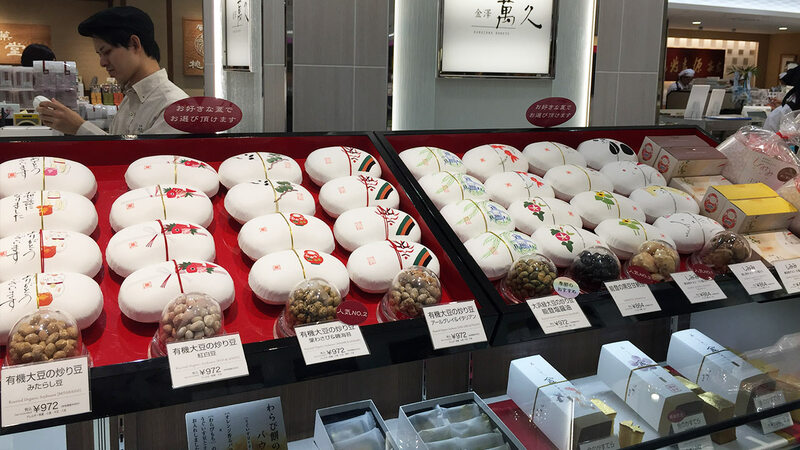 If you have as many foodie friends as I do, you know this is the perfect time to buy omiyage. This is also when I pick up things to bring back for myself, because if I don't do it now, I probably won't get another chance. Or worse, I'll forget. When shopping for food-related omiyage, depachika デパ地下（　ちか）, literally the basement of a department store, is the best place to go. Japanese department stores usually keep their foods and drinks in the basement. Anything you'd want to bring home with you — snacks, sweets, meats, sake, tea, etc. — can all be found right here. There are also many small booths selling different brands, and usually a few will be selling things from outside Japan. Sometimes these booths will offer free samples too! Even if I'm not trying to find gifts to bring home, it's fun seeing all of the different foods lined up in their displays and tasting the samples. Mameya, as the name suggests, serves snacks and sweets made with mame (beans)! My favorite is a special sweet they make called shimimi. Shimimi are rice crackers with black beans covered in chocolate and kinako, powdered soy, or houjicha (roasted green tea). It's also a fantastic gift because it comes in a cute bean-shaped box with hand-painted illustrations of a cat, rabbit, panda, or seasonal flowers (like those pictured above). This place isn't as Japanese, but it's my most favorite shop to buy rusk. A rusk is a hard, dry biscuit made from bread or cake. They're great with tea or just for snacking. All of Gateau Festa Harada's rusks are tasty, but their white chocolate-covered ones are phenomenal. You can only get them in winter, though, so make sure to grab them if you see them. Whenever I get their rusks I literally can't stop eating them. I usually don't give them as gifts because they're gone by the time I get home. If I need a break from all this food (which I never do, but maybe you can't eat like I can), my other favorite place to go in the area is a complex in front of Yurakucho Station that has both MUJI and LOFT stores. They have great stationery, so I always stock up. When I'm spending my one day in Tokyo eating, I try to walk a lot to balance everything out. Gotta burn some calories and make room for dinner! My next destinations are Harajuku, Omotesando, and Shibuya. 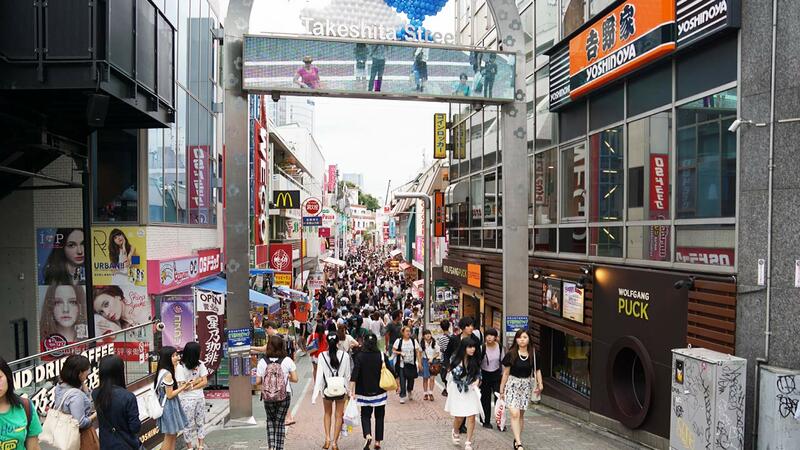 When I was in college in Omotesando, I used to walk around this area quite often, enjoying the people and the scenery. Each of these neighborhoods has a different feel and personality, and they're all right next to each other, which is convenient. I love walking around here and feeling the different vibes these places give off. I start my walk at Harajuku Station, pass through Takeshita Street (a busy street, usually populated by a younger crowd and tons of kawaii goods), then head to Omotesando Street. By this time of day, people are usually starting to queue up in long lines for pancakes, popcorn, and other street foods, but I ignore them. I'm not wasting my precious time in Tokyo in line, and neither should you. Instead, I take a detour at Aoyama crossing and enjoy the other side of the street. Eventually I head to Shibuya via Cat Street, which is a smaller street with less foot traffic. Unfortunately for cat lovers, Cat Street has nothing to do with cats. You might run into some cats (maybe), but this isn't a place for cat goods or cat cafes (which honestly seems like a missed opportunity). Anyway, if I keep walking straight, this route gets me to Shibuya in about an hour or so. I stop at spots I find interesting and take breaks when I need to. I'm sure you can find something you want to check out here. It's finally dinner time! There are tons of food options in Shibuya. Restaurants and bars near Shibuya Station are usually overcrowded and expensive due to their convenient location, so I prefer to walk a little farther and find a place to eat in the Shinsen/Maruyamacho area. These areas have much better restaurants than the center of Shibuya and they aren't too far away from Shibuya Station. Quality and convenience combined! Maruyamacho is famous for love hotels and night clubs, but I personally think it's a hidden gourmet food district. Plus, I enjoy walking under all of the neon lights at night. 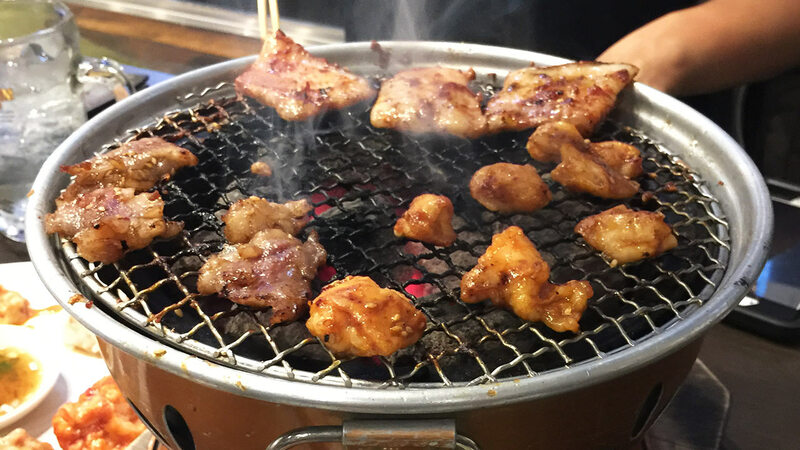 For dinner I choose a BBQ restaurant that serves the food I miss most when I'm living abroad: horumon, the internal organs of pigs and cows. This type of cuisine is popular in Japan, but it's hard to get good horumon in the States. I've found some at various Asian BBQ places, but it's never as fresh as it should be (there are issues with places not cleaning or seasoning the meat properly). Horumon Club Ajikura ほるもん倶楽部あじくら（　クラブ　） is one of my favorite horumon restaurants in Tokyo. It's a nice, casual (but smoky) restaurant right in the heart of the love hotel district (pun intended). You probably wouldn't want to go here on a first date, but it can be a fun, relaxing place to visit with friends. And don't be worried about eating animal organs. They also have all the usual meats, so you can decide if you want to be adventurous when you get there. But I recommend you try at least one or two new things! Almost all of the servers at Ajikura are Sri Lankan, but please don't think this means their horumon is not authentic. Their cut and seasoning for the meats is excellent. And they have Sri Lankan-inspired seasonings and foods (basically curry-style spices). If you're lucky, you might get to taste their curry, which is only served on certain days, depending on their mood. Foreign workers are not at all rare at restaurants and convenience stores in Shibuya, and I find the diversity this brings really awesome. After I (and hopefully you) stuff yourself with delicious horumon, it's time to go back toward Shibuya Station and enjoy this massive city in the dark. I walk across Shibuya Crossing (one of the best things to do in Tokyo at night) and enter Shibuya Basketball Street, also known as Shibuya Center Street. The next destination is my absolute favorite bar on Shibuya Center Street called Hachigatsu No Kujira 八月の鯨（はちがつ　くじら）, named after the American movie The Whales of August. If you love movies and cocktails, you'll love this place as much as I do. They serve movie and actor/actress themed cocktails. How? Just look at the cocktail in the picture to the below. 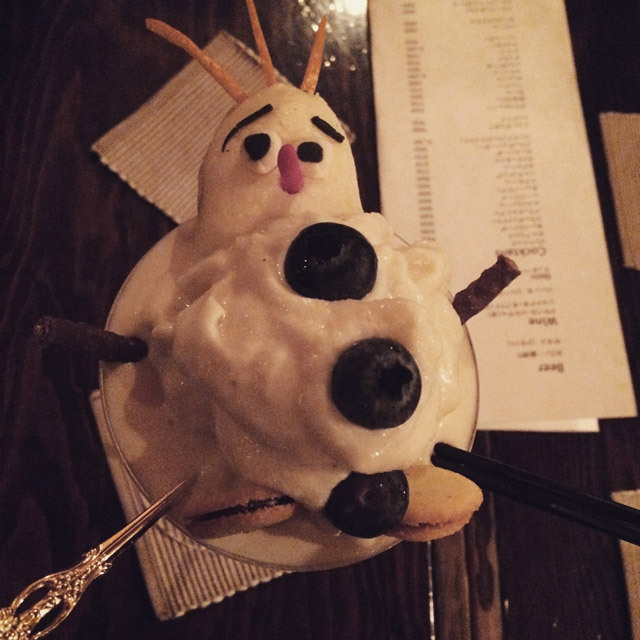 That's what you get when you order the Frozen cocktail. The Die Hard is a strong cocktail perfect for nights when you're ready to party hard. There's a cocktail list, but they have tons of recipes that aren't on it, so you can order a cocktail for literally any movie you can think of. Be sure you know the Japanese titles of your favorite movies in advance (though sometimes they're just in katakana, so it's easy). It's exciting when you order a cocktail for a movie that's not on the list and get to see what crazy thing they make. Which movie's cocktail is that? 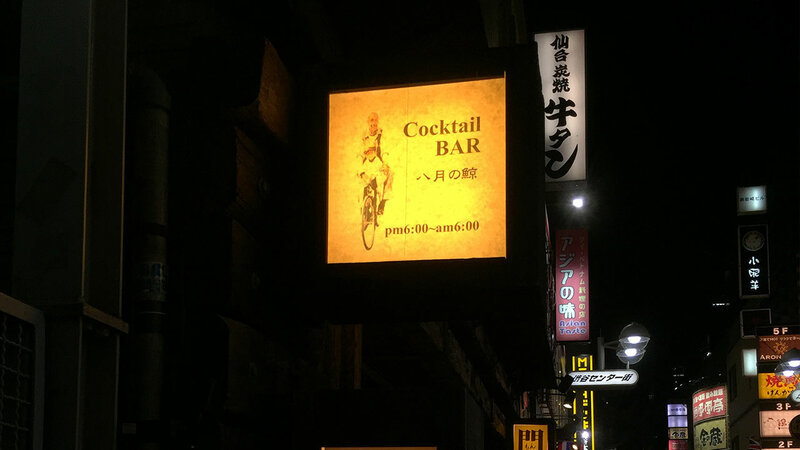 It's a small bar filled with people who love movies, so they're usually open to chatting, especially about their favorite movies and alcohol. Movie lovers with a few cocktails in them can't possibly be scary, right? It's time for the final stop on my itinerary: konbini ice cream? Yes, I know, I could get dessert at a restaurant or a bar, but ice cream at Japanese convenience stores is the best. They're cheap (¥80–300), the portions are perfect after a big meal, and the quality is 👌 . 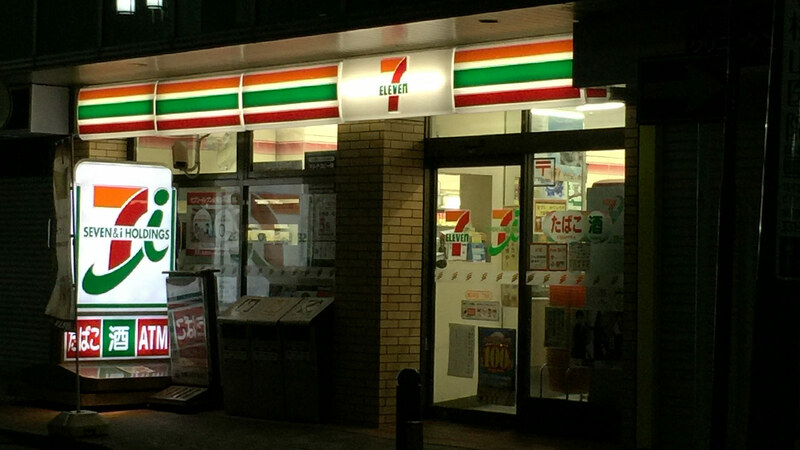 My favorite chains are Lawson and Family Mart, but I usually go to 7-Eleven for ice cream. In my experience, 7-Eleven has the best ice cream selection. Their private brand even has seasonal fruit flavors. Every time I see a new flavor, I just have to try it. You should too! I wish you a fun and, most importantly, delicious trip to Tokyo!